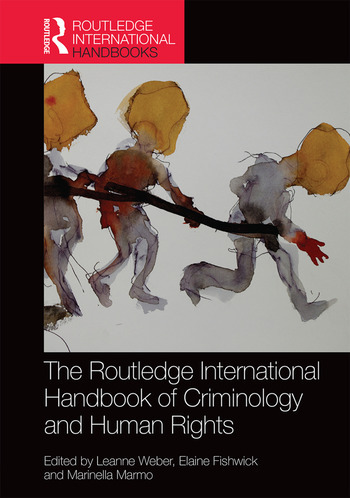 The Routledge International Handbook of Criminology and Human Rights brings together a diverse body of work from around the globe and across a wide range of criminological topics and perspectives, united by its critical application of human rights law and principles. This collection explores the interdisciplinary reach of criminology and is the first of its kind to link criminology and human rights. and penality, both within and beyond the prison. This Handbook forms an authoritative foundation on which future teaching and research about human rights and criminology can be built. This multi-disciplinary text is an essential companion for criminologists, sociologists, legal scholars and political scientists. Leanne Weber is Associate Professor and ARC Future Fellow in Internal Border Policing at Monash University, Australia, and Co-Director of the Border Crossing Observatory. Elaine Fishwick is an independent research consultant currently working on a project with Sydney University Social Justice Research Network, Australia. Marinella Marmo is Associate Professor in Criminal Justice and Associate Dean (Research) at Flinders University Law School, Australia.